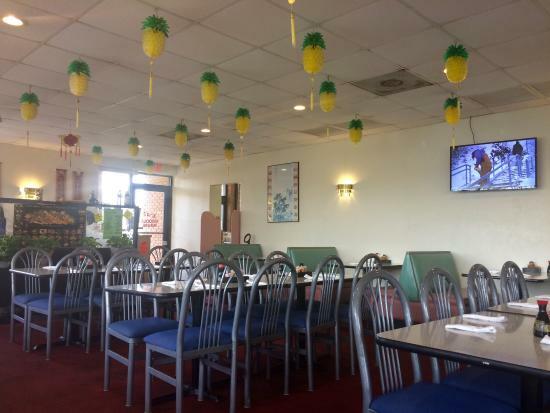 It's not uncommon to find quality Chinese dishes packed with rave reviews at renowned spot Mya's Chinese Restaurant in Chiefland. Whether you are looking for food low in fat or gluten-free, this restaurant is the place you want to eat. Forget the stuffy formal wear! Mya's Chinese Restaurant's business casual dress code sets the tone for ease and enjoyment. No time to sit down? No worries! This restaurant offers a take out option so you can grab your food on the go. Forget circling the block, Mya's Chinese Restaurant has plenty of nearby parking options. With prices so reasonable, our menu will seem like a full buffet. Eat like a king at Mya's Chinese Restaurant. This restaurant takes Chinese cuisine to the next level. Stop by today and indulge in an upscale meal.